Outlook 2016 does not support manual setup for Exchange accounts. Starting with this version, Microsoft developers completely removed the ability to manually configure the Exchange account settings and the Exchange Account setup wizard is missing. It is supposed that Outlook 2016 should automatically get all connection information using Autodiscover mechanism (all possible options that allow the client to perform Autodiscover are described in the article How to resolve slow Outlook 2016 Autodiscover with hosted Exchange). 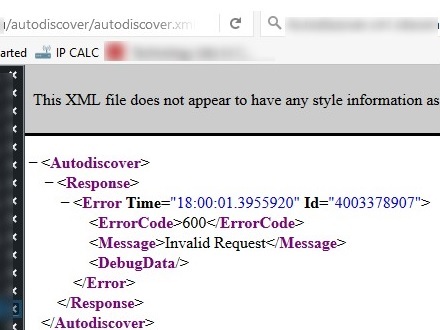 However, in some cases autodiscovery cannot be performed (incorrect Autodiscover configuration, issues with the access to Autodiscover.xml file, etc. 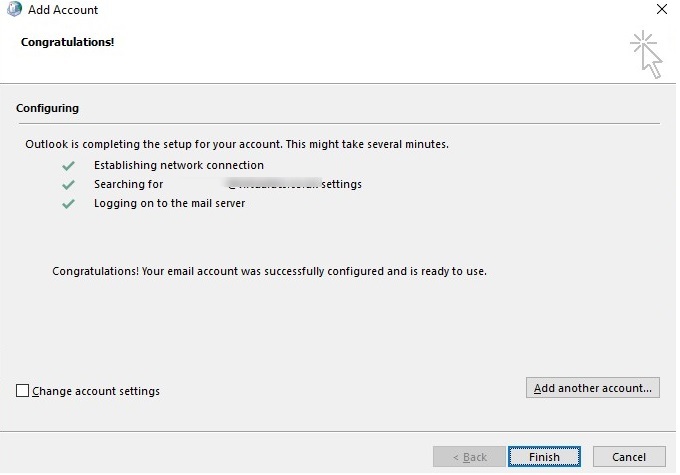 ), and the user must manually configure the connection to the Exchange server in Outlook 2016. Let’s see how to do it. Tip. Of course, first of all you should make you Exchange administrators set up the correct Autodiscover both for external and internal clients. Assume that on some reasons it is impossible. If you know the URL to access your Exchange through OWA, check if the following URL address is available: https://mail.woshub.com/autodiscover/autodiscover.xml (to access the XML file you must authenticate). If the file is available, go to the next step. If it isn’t, go to the second setup method. Note. You need to replace mail.woshub.com with your URL. Open the Registry Editor and got to the key HKEY_CURRENT_USER\SOFTWARE\Microsoft\Office\16.0\Outlook\AutoDiscover. Create a new REG_SZ key with the name of your domain and the value containing the path to the local XML file you created in the previous step. Just start Outlook and run the Add Account wizard, in which you must specify your name, email address and password. If you did everything correctly, Outlook 2016 will automatically set up the Exchange connection. 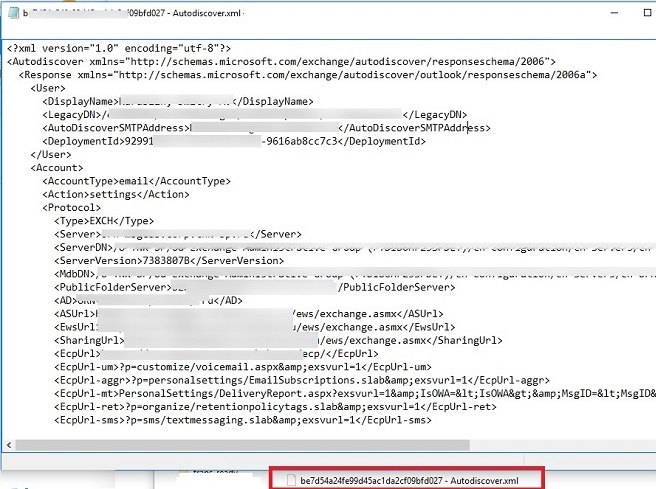 If the URL with autodiscover.xml is not available from your device, you will have to create a local XML file containing full user settings to connect to the Exchange server. 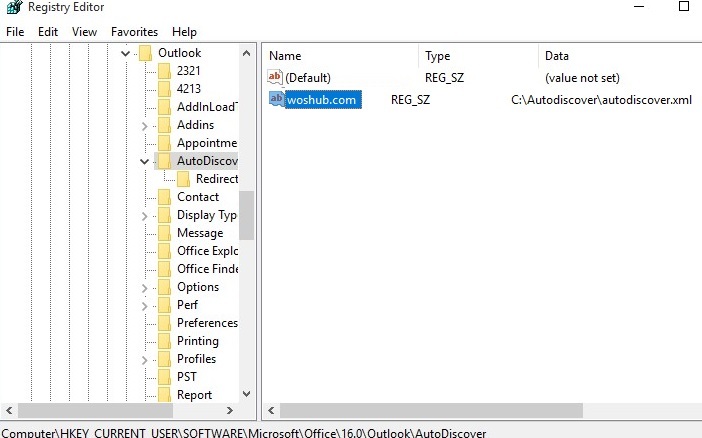 You can get sample parameters for this file from any configured Outlook client. To do it, go to folder C:\Users\%username%\AppData\Local\Microsoft\Outlook, where you will find the file with the name [longGUID]-Autodiscover.xml. Copy this file, change the account settings if necessary and save it to the C:\Autodiscover\autodiscover.xml. Then go to the Steps 3 and 4 from the first method. If you cannot get this file, you can create it manually. The file must have the following format. Change the data in square brackets to the information corresponding to your domain (you can get it from your Exchange or AD administrator) in these XML files. Tip. Please, note that Outlook 2016 won’t be able to connect to a mailbox in Exchange 2007 or earlier. 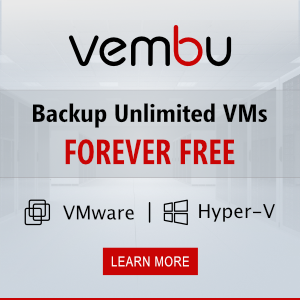 What version of Exchange do you use? Is your mailbox available over OWA? Try to create a new clean Outlook configuration.